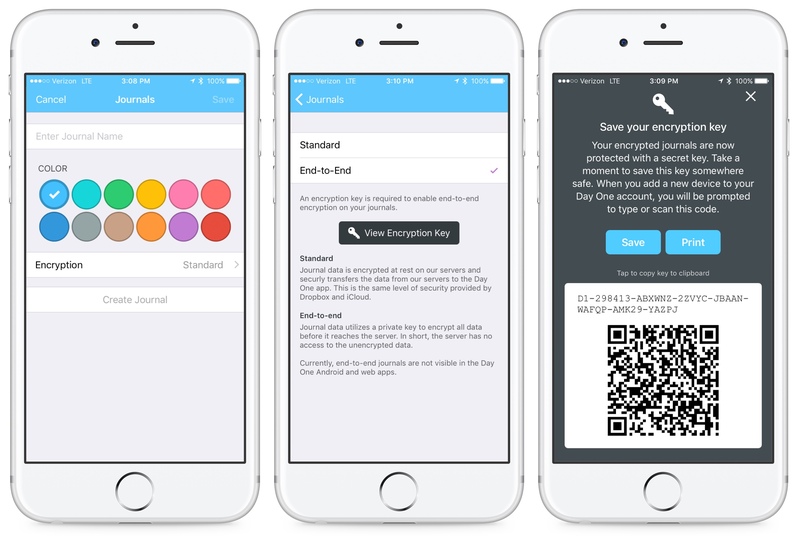 End-to-end encryption utilizes a user-generated, private key to encrypt all entries before they reach Day One servers. With possession of the encryption key held only by the end user, maximum security is assured for journal data. End-to-end encryption is enabled on a journal-by-journal basis. Go to Journals in Day One's Settings, then select the journal you want to encrypt. Follow the on-screen instructions to complete this process. Instructions to enable end-to-end encryption are found here. What if I lose my encryption key? When using end-to-end encryption, it is essential you save your encryption key in a secure location. If you lose your key, you will not be able to decrypt the journal data stored in the Day One Cloud. You'll need to restore your data from an unencrypted locally-stored backup. Standard encryption encrypts your data "at rest" on our servers and securely transfers the data from our servers to the Day One app. While very secure, this standard security requires that Day One staff holds the keys to decrypt journal data. Can I switch from end-to-end back to standard encryption? 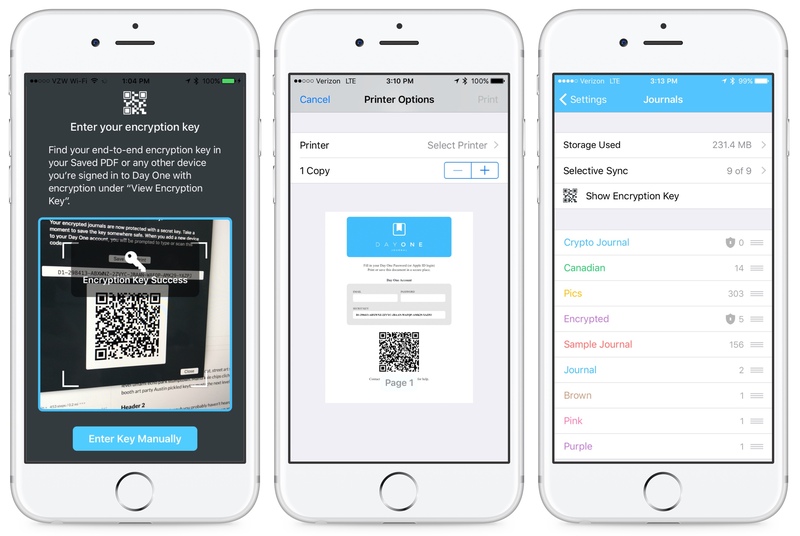 Any journal can be switched back and forth from standard to end-to-end encryption. How can I trust your encryption service? Has it been reviewed by third-party security experts? After over a year of development work, we enlisted the services of nVisium, a noted security firm, to review our end-to-end encryption architecture. They found four medium-severity risks and three low-severity risks. Three of the seven issues have been resolved. When was end-to-end encryption released? End-to-end encryption is included in the 2.2 update for both iOS and Mac. Does Day One Android support end-to-end encrypted journals? Day One Android does not currently support end-to-end encrypted journals, but will at a later time. Does IFTTT work with encrypted journals? It doesn't work at this time, but we plan to add support in the future. I need more help. How can I contact you? Please visit https://dayoneapp.com/contact to contact our support service.